The World Water Day Factsheet, available for download at www.worldwaterday.org. Global campaign focuses on ensuring that abundant, clean water is available to all. 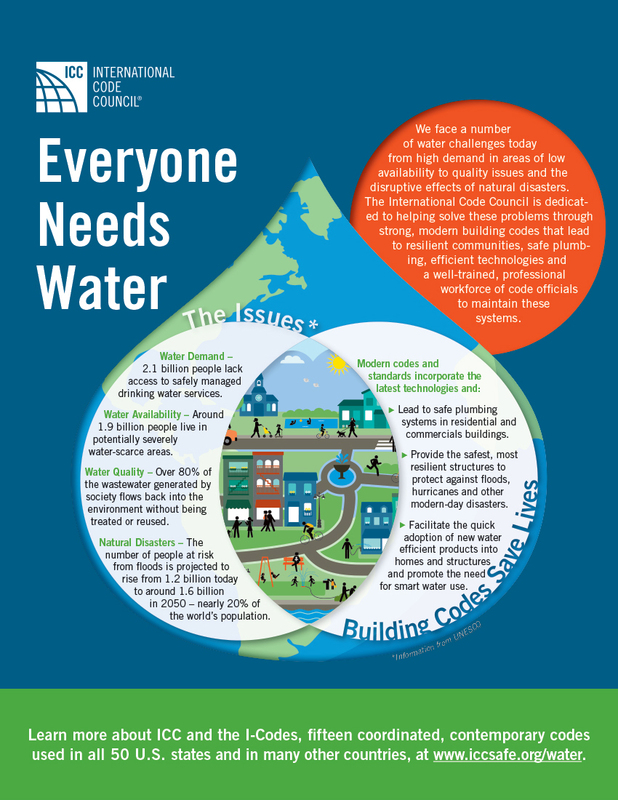 Download the infographic, “Everyone Needs Water,” as a PDF or JPEG, and visit www.iccsafe.org/water for more information.